Renée DiResta is the Director of Research at New Knowledge and a Mozilla Fellow in Media, Misinformation, and Trust. She investigates the spread of malign narratives across social networks, and assists policymakers in understanding and responding to the problem. She has advised Congress, the State Department, and other academic, civic, and business organizations, and has studied disinformation and computational propaganda in the context of pseudoscience conspiracies, terrorism, and state-sponsored information warfare. Renée regularly writes and speaks about the role that tech platforms and curatorial algorithms play in the proliferation of disinformation and conspiracy theories. She is an Ideas contributor at Wired. Her tech industry writing, analysis, talks, and data visualizations have been featured or covered by numerous media outlets including the New York Times, Washington Post, CNN, CNBC, Bloomberg, Fast Company, Politico, TechCrunch, Wired, Slate, Forbes, Buzzfeed, The Economist, Journal of Commerce, and more. She is a 2019 Truman National Security Project security fellow and a Council on Foreign Relations term member. 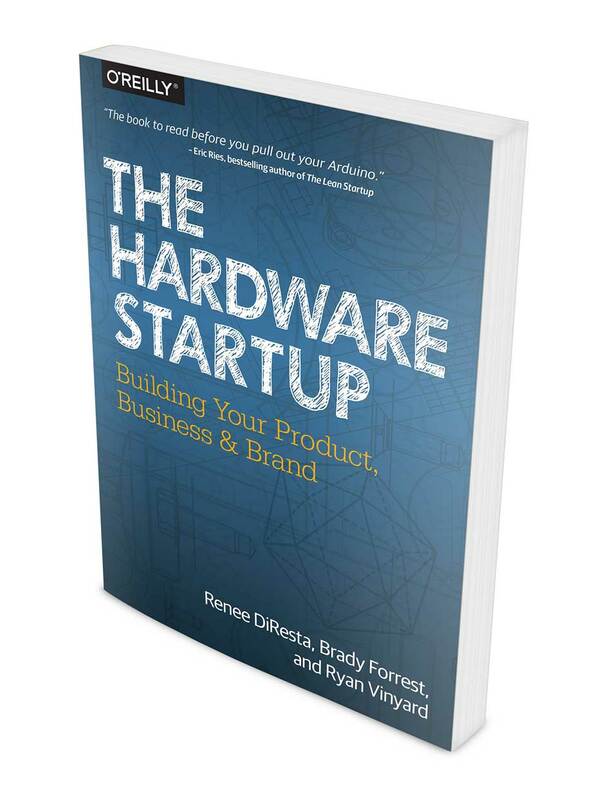 Renée is the author of The Hardware Startup: Building your Product, Business, and Brand, published by O’Reilly Media. Previously, Renée was part of the founding team and ran marketing and business development at Haven, the transportation management technology platform that’s transforming trade logistics for commodity, CPG, and food shippers. Before that, Renée was a Principal at seed-stage venture capital fund O’Reilly AlphaTech Ventures (OATV), where she invested in early technology startups with a focus on hardware, manufacturing, and logistics companies. She spent seven years on Wall Street as an equity derivatives trader and market maker at Jane Street, a top quantitative proprietary trading firm in New York City. Renée has degrees in Computer Science and Political Science from the Honors College at SUNY Stony Brook. She is a 2017 Presidential Leadership Scholar, a Staff Associate at the Columbia University Data Science Institute, a Harvard Berkman-Klein Center affiliate, and is a Founding Advisor to the Center for Humane Technology. She is passionate about STEM education and childhood immunization advocacy, and is one of the co-founders of parent advocacy organization Vaccinate California. For fun, she explores data sets and loves cooking and crafting. Renée and her husband, Justin Hileman, are the parents of two feisty little people. This book is for entrepreneurs who want to create companies around physical products. It turns the complex process of building a hardware startup into a series of accessible steps, to guide founders from the earliest stage of an idea to a beautiful final product that sells. Written by three experts with deep experience in hardware businesses, The Hardware Startup gives you practical strategies for funding, market research, branding, prototyping, manufacturing, and distribution. Two dozen case studies of real-world startups illustrate possible successes and failures at every stage of the process. I write and speak about influence operations, the algorithms that shape our society, and tech policy. Here are a few selections. Copyright © 2019 Renée DiResta.